Strawberry Cream Cheese Bagel – Live. Simple. Good. 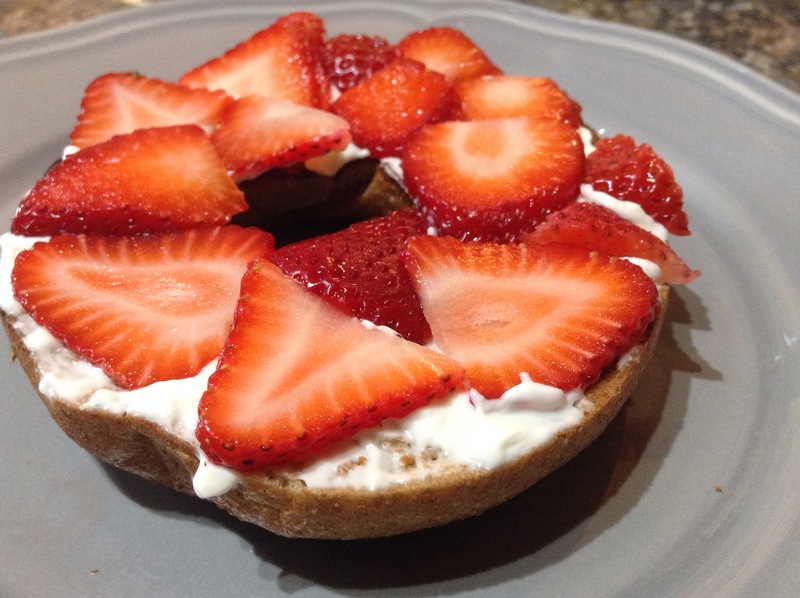 I’m getting into the Valentine’s Day spirit with this simple and good bagel topped with cream cheese and fresh strawberries. Yum!